They say the pen is mightier than the sword, but what about the snowball? 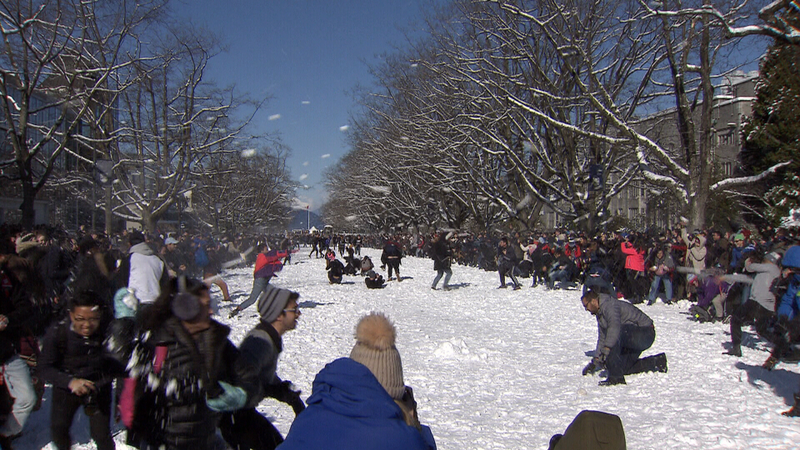 A day after classes at UBC's Point Grey campus were cancelled, students decided to blow off some pent-up energy and hurl a few thousand snowballs at each other. Danika Coulbourn, the external director for the Calendar, a campus community organization and the main organizer of the snowball fight says the goal was to bring students from across campus together for an authentic community moment. "We wanted to give people a break from the library and midterms," said Coulbourn in an interview with CTV News. “This is a really stressful time of year,” she continued, saying they wanted to give students a mental health break as well. Coulbourn said organizers believes this was the largest-ever snowball fight organized at UBC, with reportedly more than 3,000 students participating. Lined up on each side of Main Mall like a medieval battlefield, only the bravest dared to enter the open field of combat and get pelted by their classmates. Coulbourn confirmed at least one enterprising student was clad in a full suit of beer-box armour, with a shield in their left hand to deflect the icy missiles. 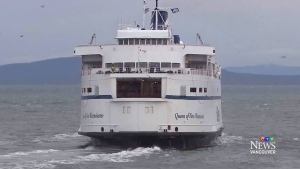 No injuries were reported by their first-aid staff, said Coulbourn. Originally planned for Tuesday, the Calendar postponed the skirmish until Wednesday after the university cancelled classes due to the snowfall. Luckily there was still plenty of ammunition left for the combatants.